Available in any denomination over £5, Gift Vouchers are the perfect gift for all theatre lovers! 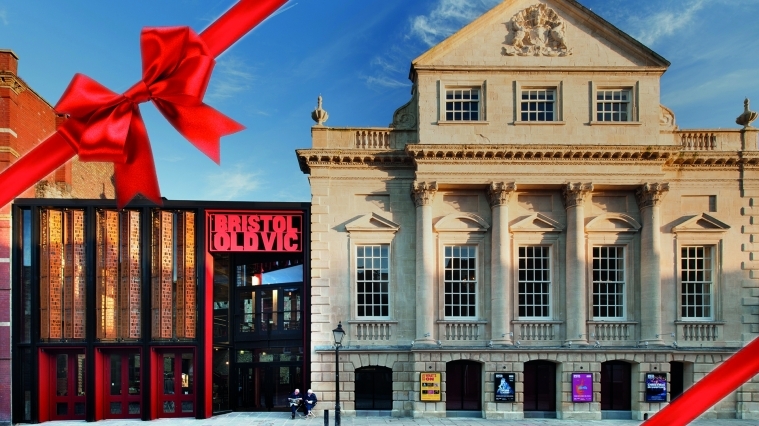 Gift Vouchers are valid for one year from date of issue and may be exchanged wholly or partly for tickets for any performance at the Theatre or The Weston Studio, or one of our Theatre Tours. Gift Vouchers purchased online will be delivered by email. If you wish to receive a printed Gift Voucher, please call our Box Office on 0117 987 7877. From just £36 per year, you can gift your loved one a Friend, Best Friend or Supporter Circle membership. They’ll be the first to know our season announcements and can benefit from exclusive priority booking periods and a range of discounts. Gift Memberships provide the recipient with a code that they can redeem to purchase a membership. Membership is valid for one year from the date of redemption. Gift Memberships purchased online will be delivered by email. If you would prefer to receive a printed Gift Membership, please call our Box Office on 0117 987 7877 for Friends or Best Friends and 0117 317 8654 for Supporter Circles.